A sharp collection of motorcycle luggage from SADDLEMEN; the ftb line features a bold, yet sporty look with an array of vital features bundled with superb construction and class-leading value pricing. This trunk and rack bag mounts in moments without fuss, using rugged nylon straps and clips attached directly to the body of the bag. Brings never-before-seen style to the top of your touring bike's trunk, trunk rack or large rear rack. Semi-rigid walls, specially contoured for style and load capacity, hold their shape regardless of your cargo. 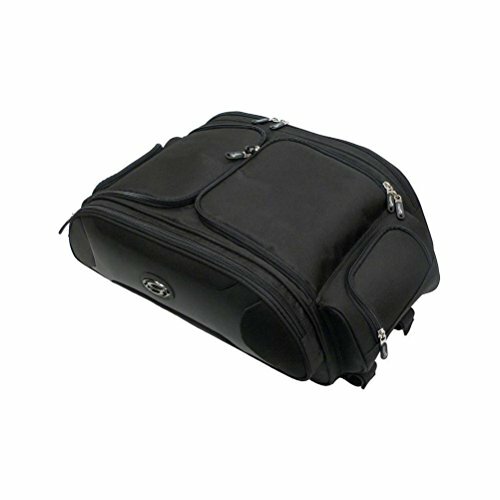 Gull-wing top flaps have perimeter zippers that open wide for easy loading and unpacking. If the weather gets wet, use the supplied high-visibility, light-reflective rain cover to protect the bag and its contents. 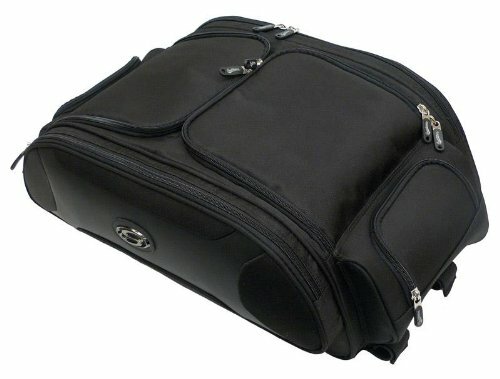 Ftb33 dimensions: 22.5" w x 9" H x 12" D (bag excluding pockets) and 26" w x 9" H x 15" D (bag including pockets); capacity 1 lb.